In our last blog B2B Lead Generation Tips: How to make your lead generation campaign successful? Part I, we discussed some basics of B2B lead generation and how to set goals for B2B lead generation campaigns. Today we will discuss the aMarketForce lead generation process. We will examine some topics such as prospecting, interest generation, lead pre-qualification and appointment setting. Prospect list development is the process of developing a clean list of prospective contacts for marketing and inside sales campaigns that are focused on lead generation. 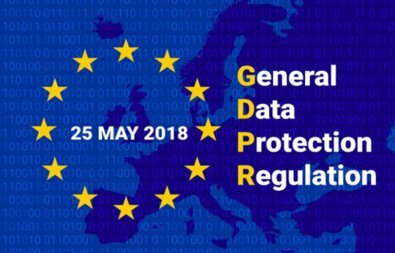 Determining geographical location, target verticals such as the type of business, the size, and target audience such as title, or seniority are very crucial in this process. Prospective companies that meet the criteria are identified based on these inputs. Relevant contacts and company details are then generated through secondary research and tele-calling. 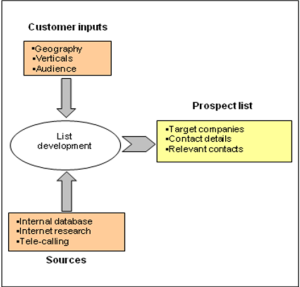 Figure 1. below depicts the process of prospect list development at aMarketForce. A prospect list can be further pre-qualified for marketing campaigns by identifying some qualification criteria. Click here to download aMarketforce’s lead pre-qualification case studies. Interest generation is the process of creating awareness in prospects for target services or products. This is primarily done by promoting the value proposition and addressing the market’s pain points through marketing campaigns. 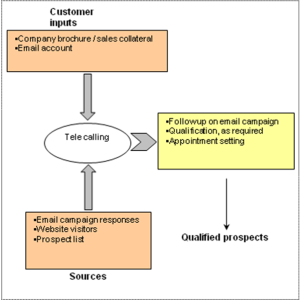 Targeted prospect lists are used during this process for different marketing campaigns such us email marketing, event marketing, tele-calling and more to create awareness and demand. All the marketing inquiries from website and email campaigns are then followed up for further qualification and appointment setting. Also, email campaign openers/clicks are nurtured till they are ready to enter the sales cycle. All follow up is done by qualified inside sales reps. At this point, the tele-calling pitch/script becomes very crucial. Even while following up on an inbound inquiry, it is important that the tele-caller is well trained in sales and is knowledgeable about the target service/product. Marketing collaterals such as brochure, whitepaper, case studies, datasheet, and corporate presentation are shared with interested prospects. 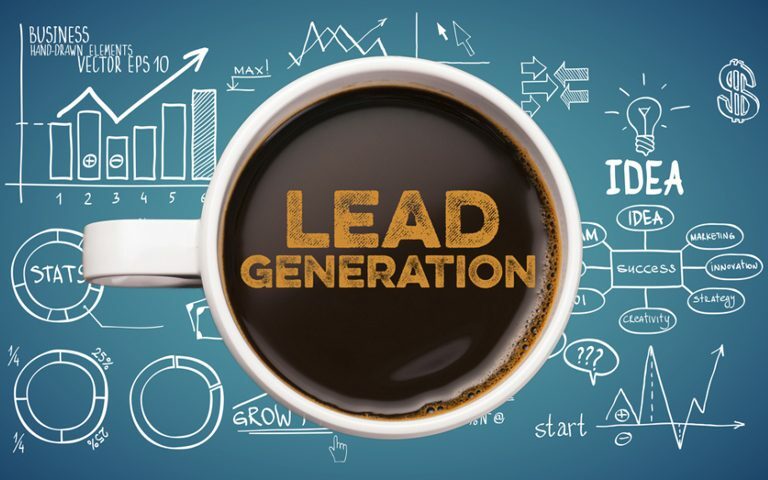 Lead qualification is imperative in order to convert your raw leads/inquiries into sales ready leads. No B2B lead generation campaign can be successful without lead qualification. Some of the critical criteria for lead qualification are customer needs /pain points and product/service fit, budget, opportunity size, lead purchasing role, and purchase timing. You can manage your outbound tele-calling campaigns in-house by hiring an inside sales team or by outsourcing lead generation and appointment setting campaigns to a B2B lead generation services company. In our next blog post we will discuss important aspects of appointment setting, aMarketForce’s lead nurturing and lead scoring services and how it can support the B2B lead generation process.